Situated in the shopping district, this hotel is within a 10-minute walk of Cebu International Convention Center and Cebu Business Park. Cebu IT Park and Fuente Osmena Circle are also within 1 mile (2 km). Along with a restaurant, this hotel has an outdoor pool and a health club. Free WiFi in public areas and free self parking are also provided. Other amenities include a bar/lounge, a poolside bar and spa services. All 427 rooms feature modern comforts such as LED TVs with cable channels, along with free WiFi. Other amenities available to guests include minibars, room service (during limited hours) and coffee/tea makers. 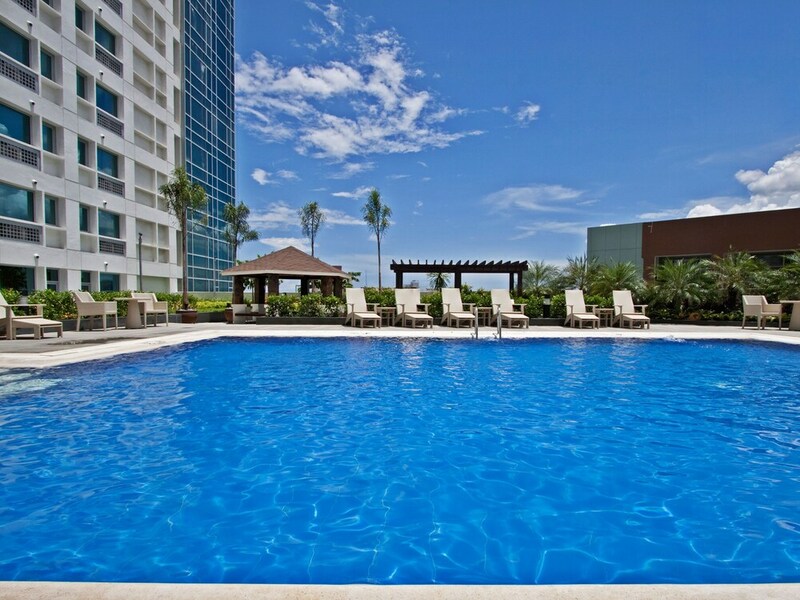 Quest Hotel & Conference Center – Cebu features an outdoor pool and a health club. The hotel offers a restaurant. Guests can unwind with a drink at one of the hotel's bars, which include A poolside bar and A bar/lounge. A computer station is located on-site and wireless Internet access is complimentary. A business centre is on-site at this 3-star property. This Art Deco hotel also offers spa services, tour or ticket assistance and concierge services. For a surcharge, a round-trip airport shuttle (available 24 hours) is offered to guests. On-site self-parking is complimentary. Quest Hotel & Conference Center – Cebu has designated areas for smoking. Quest Hotel & Conference Center – Cebu has a restaurant on site. If you are planning to arrive after 3 PM, please contact the property in advance using the information on the booking confirmation. This property offers transfers from the airport (surcharges may apply). Guests must contact the property with arrival details 48 hours prior to arrival, using the contact information on the booking confirmation. Only registered guests are allowed in the guest rooms.